Photo booths at weddings are an increasingly popular way to engage guests with the spirit of the celebration, and with good reason. The photobooth provides a way to have a little carefree fun, all while creating lasting memories on the happy couple’s special day. 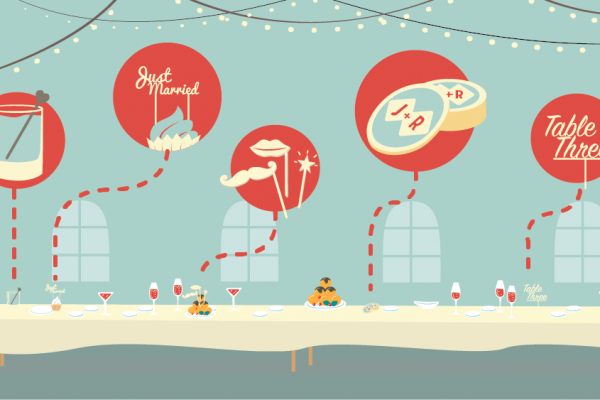 Everything you need to know about making wedding decorations. 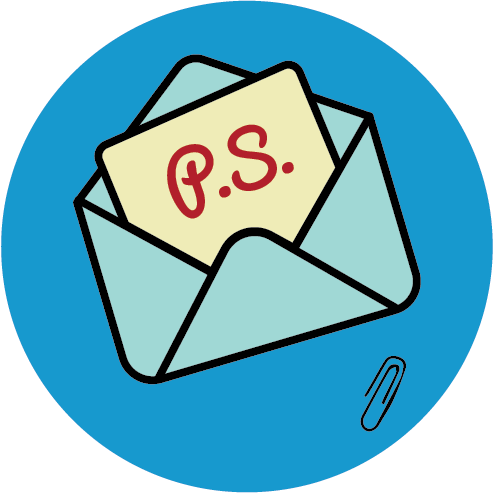 No photobooth is taken seriously unless it has a good selection of props; and through laser cutting, it can be easier than ever before to make high-quality custom props for wedding guests to use in their photo session. Let’s take a look at a few of the fun ways people have used laser cutting to produce photobooth props for sale on Etsy. 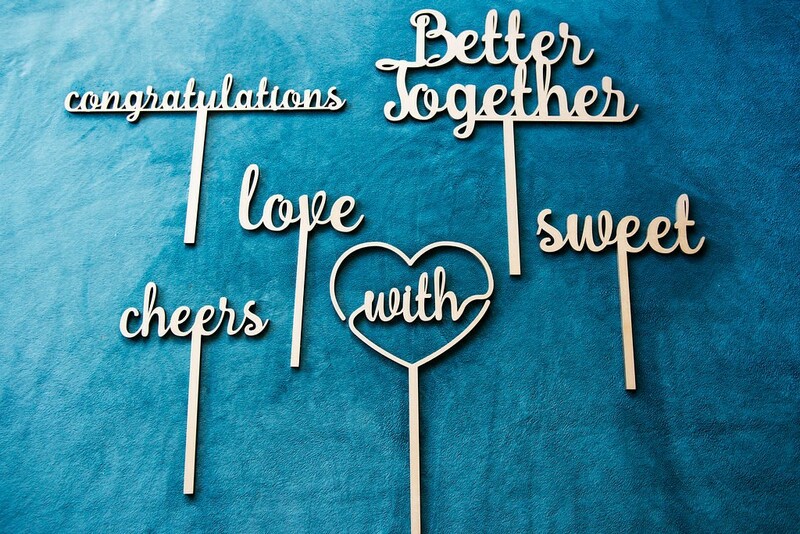 Pictured above is a collection of laser cut text props by Evi Amaira Custom Decor. Laser cut text works really well in this application because it is very easy to create relatively complex shapes, as can be seen in the fancy fonts used here. 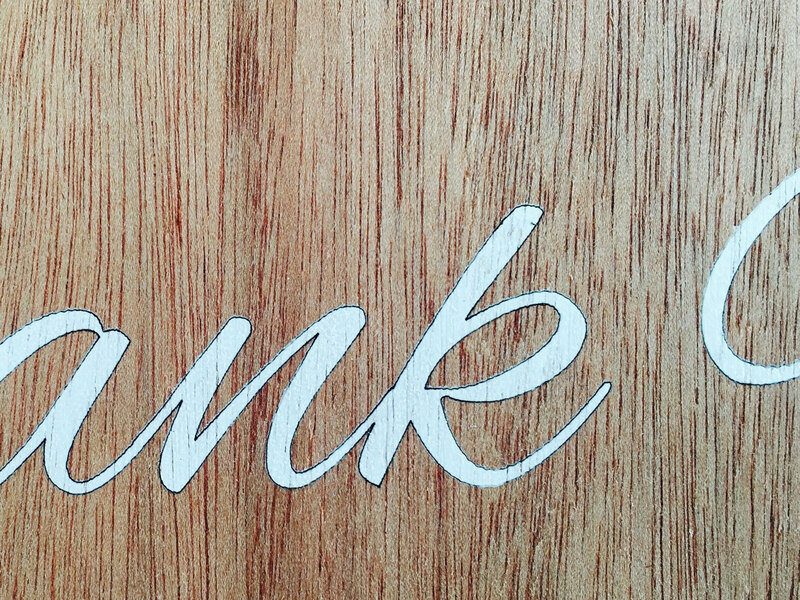 Two other approaches to text are shown below, where the messages have been laser etched into the timber surface and then finished to make the text really pop. 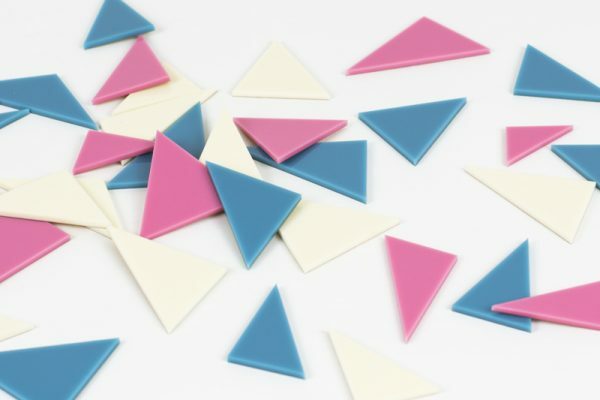 For those whose actions speak louder than words, clowning around in front of the camera often comes naturally – but for others, it can help to have fun graphic object props at hand. The laser cut wedding photo booth prop sets from Evi Amaira (below, left) and Styline (below, right) can help to create that distinguished, formal feel or perhaps add a little spice to the party. 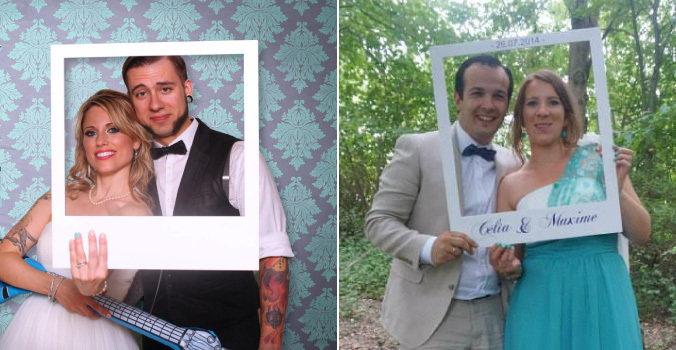 Another great idea is to go one step further and supply a laser cut photo booth frame for guests to pose with! The example on the left from PhotoBoothProp is in the style of a polaroid print, and the wood has been painted in preparation for dry-erase markers so guests can personalise their messages to the happy couple. Featured on the right, another approach to the photo frame prop from Scrapadabra includes the names of the matrimonial couple highlighted in ornate script. Photo booths are a lot of fun and set up an opportunity for wedding guests to share their joy with the happy couple in creative ways. 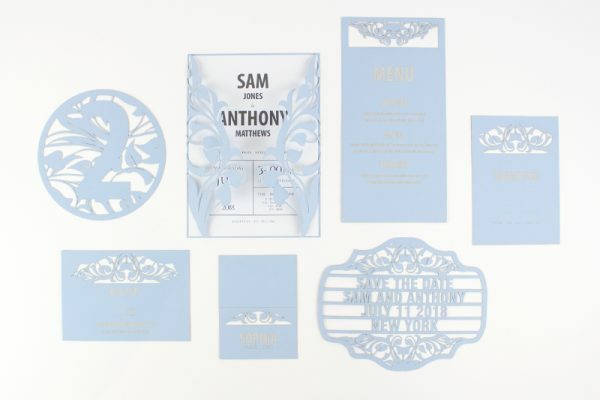 Using your Ponoko Personal Factory and some clever laser cutting, the wedding photo both experience can truly become a dynamic memory maker for that special day.